They’re cities that pull double duty for sun-thirsty lovers of culture: Beach cities in destinations that offer surf and sand but also have compelling stories to tell. If you’re the type of restless vacationer whose threshold for lounging by the pool is two days max, and you’re looking for world class dining and shopping, check out Canada's answer to Hollywood and Venice Beach: Vancouver, British Columbia. With 18 km of coastline, Vancouver is home to 10 beaches that cater to different desires and different beach needs. Like to lounge in the buff? Vancouver’s got a beach for that: Wreck Beach. At 6 km, the secluded patch is Canada’s first and largest -- and legal -- “clothing-optional” beach. Outdoor adventure enthusiasts may want to hit up Jericho Beach, popular for sailing, windsurfing, sea kayaking and beach volleyball. 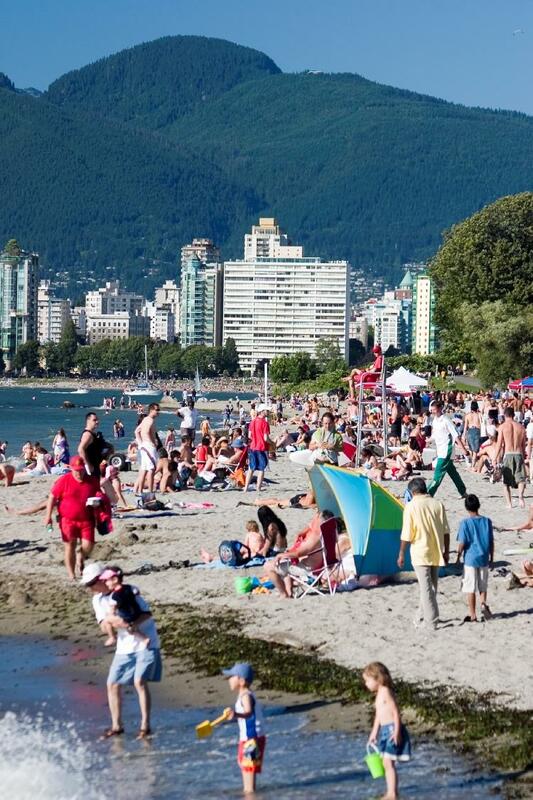 And Kitsilano Beach -- better known as “Kits Beach” to locals -- is described as the Canadian version of Venice Beach for the bevy of bronzed, beautiful people who go to see and be seen. Along with modelesque beach bums, however, you’ll also find joggers, families and a huge, outdoor, heated, salt-water pool that’s almost three times the size of an Olympic pool.